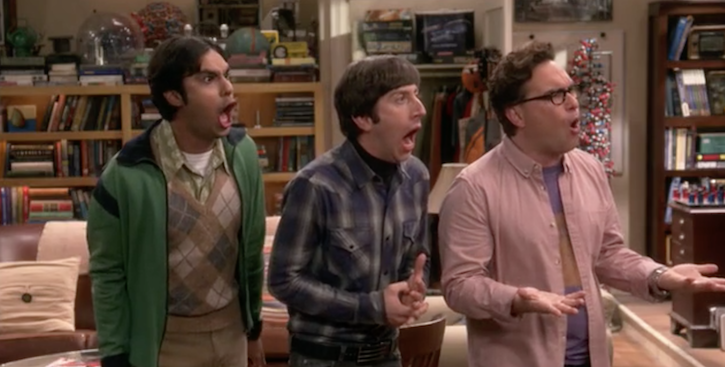 Like many in the cryptocurrency community, I was excited about the notion of Bitcoin appearing on the Big Bang Theory. Not only does it increase exposure to Bitcoin, which will help drive the price further up but it also might educate the masses into what Bitcoin, blockchain and the cryptocurrency market is. Sadly, while the show might have driven the price up a bit (as of this writing Bitcoin is valued at $11,803 per), it failed in the educational aspect, displaying clear ignorance of Bitcoin. Here are two examples. In the show, Sheldon actually mentioned that he has a photographic memory. Later on, when it was revealed that Sheldon moved the coins to Leonard’s Batman USB drive on his key chain (only for Stuart to wipe it clean for $10), the show ended. Anyone in the crypto community knows that blockchain contains all the transactions and that, if Sheldon had a memory he would have either memorized the private key or the 12-18-24 word phrase associated with the wallet, restored the coins onto a wallet application like Electrum and the show might have had a different ending. However, no character on the show gets wealthy (save for the actors) and people are now left with the impression that the coins are physically stored on the computer and nowhere else. Very misleading. Mining bitcoins involve a computer solving complex algorithms to keep the blockchain going. The way Leonard, Rajesh and Wollowitz were doing it was that they were manually solving the algorithms, which is a slow and manual process. That said, when the show begins with “dressing like Avatar” when Avatar technically isn’t one character, you know you’re in for trouble. The silver lining here is that it shows how early Blockchain technology is for the masses (similar to the World Wide Web in the ’90’s – I still remember someone writing to me about his “web sight”) and that the only direction cryptocurrencies in general are going now is up. Rafi Hecht is a web programmer and digital marketing specialist with over 12 years experience. He holds a Masters of Science degree from Stevens Institute of Technology and is both Adwords and Bing Ads certified. Rafi currently lives in Toronto. Bitcoin Mining – What Is It, How Does It Work, and Why Do I Care? Bitcoin-Crypto Scare: So What if Tether Isn’t Pegged to the US Dollar?